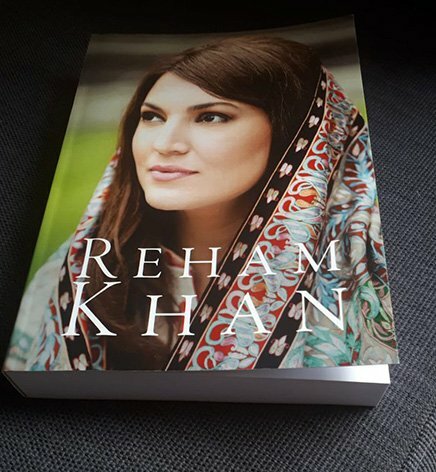 KARACHI: Reham Khan's controversial book, which Imran Khan’s ex-wife Jemima Goldsmith had said ‘could not be published in UK’ has been published and is available in paperback in the UK and selected territories, the writer announced Thursday. Jemima had warned Reham last month that she would file a defamation suit against the ex-BBC journalist, if her "libellous" book was published in the United Kingdom. She tweeted: “On Reham Khan's book I've been assured that it's too libellous to be published in the UK but if it is published here, I will be suing for defamation & breach of privacy on behalf of my (then) 16 yr old son & in relation to the moronic, re-hashed Zionist conspiracy theories. Sigh”. However today, Reham announced on social media: " It's out! Available in paperback in the UK and select territories. Available worldwide in Ebook format". Reham's book, published online today, has triggered debate on social media with many saying that she is doing all this on the behest of Pakistan Muslim League Nawaz to tarnish the image of Pakistan Tehreek-e-Insaf Chairman Imran Khan just before the July 25 polls. There's no comment yet from Imran Khan and PTI on the book.